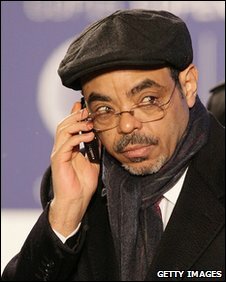 IN Meles Zenawi, Ethiopia has lost a great son and perhaps the greatest leader the country has had in a long time. And, equally, Africa has been robbed of a voice that commanded attention on the articulation of the African cause. Truly, last Monday night marked a dark hour for whoever cares about the worth of Africans. There is no doubt that Zenawi will be missed by all on this globe who cherish the equality of man. May the Almighty rest his soul in eternal peace! When he lived, Zenawi ensured that his people enjoyed that peace but this world that depends on non-African opinion was gang-hoed into believing otherwise. He was portrayed as a Dracula whose survival depended on the blood of opponents of his leadership. We were told that politicians who opposed him were killed or thrown into prison. That journalists lived only if they sang his name. Ethiopia was presented to us as a lawless jungle where its citizens depended on the whims of one man. Practically all news in the foreign media has strained to ignore the confidence and positive outlook that Ethiopians have finally found in their country. The picture that was thrown to us was that of Ethiopia before the 1970s. This was when it was under the iron hand of the King of Kings, Lord of Lords, Conquering Lion of the Tribe of Judah, Elect of God and Power of Trinity. The titles alone tell a story of lording it over a people in an Ethiopia of sad times. Emperor Haile Selassie, the Lion of Judah, presided over a people to whom famine was a constant. And the vivid picture of that was captured for posterity when the Emperor was photographed feeding meat to his pride of lions, in his imperial palace, at a time when his people in their droves were dying of hunger. Alternatively, we were given the picture of Ethiopia after Selassie and under Mengistu Hailemariam. Mengistu and his Derg (junta), when they ruled Ethiopia between 1974 and 1991, embarked on a systematic cleansing of some ethnic groups, using hunger and what Ethiopians called the Red Terror. It is estimated that the regime oversaw massacres of genocidal proportions that counted no less than 1.5 million dead. The 1980s will always be remembered as a period when it was thanks to rock stars that some Ethiopians survived. The songs "We are the world" and "Do they know it's Christmas?" were inspired by the famine of those years. The two songs raised funds to feed the dying of Ethiopia. It was that bad. In truth, though, that's not the Ethiopia of today. It only exists in the pages of the foreign media. Today's Ethiopia is a land of a well-fed, happy and celebratory people. Though based on agriculture, Ethiopia's economy has grown in leaps and bounds and is posting impressive figures of expansion. Dissolution of collective farms (farms of the Mengistu era) that distributed "Land to the tiller" has ensured that ordinary citizens no longer experience famine. Land that otherwise could have been idle has been opened up for investment and now Ethiopia can afford to export food. As the government focuses on its agriculture, it is also developing its industrial sector. Such a government and governments of Selassie and Mengistu are worlds apart. It should also be remembered that before Zenawi, Ethiopia had never experienced a multi-party government. Just as it should be borne in mind that his administration ushered in unprecedented press freedom when it allowed for private media practitioners. However, these democratic dispensations have their down-side, as would be expected in nascent institutions. So the multi-party elections of 2005 were received with bloody demonstrations. As democracies go everywhere, bloody confrontational claims of freedom are not a rarity. Moreover, the problem was compounded by the fact that Ethiopians had for long lived in systems of ethnic division. With ethnic bigotry having ruled the roost for so long, it will for long continue to influence local politics and media, especially. When an effort is made to rein in these forces, it should not be surprising that some individuals face the wrath of the laws of the land. Those laws that are being taken for granted today were unknown in times before Zenawi. In response to the centuries-old ethnic division, the Zenawi government created an ethnic-based federalism. It aims at putting decision-making in the hands of the ordinary citizens. As Zenawi stated at its launch: "Power must be devolved to [the people] in ways they understand...Other approaches had been hegemonic and exploitative and.....led to internecine strife....ethnicity will become less an issue as the economy grows and [as the] process of assimilation does its job". And this is the point that foreigners always miss: the overriding importance of context. Any decision taken in a society must take into account the level of its development. From the beginning, the Zenawi government has promoted pro-poor polices that have been responsible for the economic expansion that Ethiopia has continued to register. In such a context, the poor majority in society must be protected against reactionary forces that seek to revert to their old privileged positions. Let's celebrate the illustrious life of an African son. And pray that the torch he lit remains aloft.